Send 50K emails daily for $99 per month. Send huge volume marketing / promotional emails with upto 30 Static IPs in rotation & exim mta in background. Send 50,000 emails daily.. Virtul Private Server is provided by our partner with datacenters in Belgium & USA. With Accounting Cloud Server you will receive long-term high performance access to your Accounting Software. Your Accounting Software is installed and stored (as well as the data) on a secure enterprise class virtual private cloud server. It helps keep the cost down for your company and you can access your Accounting Software from any computer and still have the accounting data file you need. You can also print any documents such as invoices, cheques, purchase orders, reports, etc to your local printer via Accounting Cloud Server. You will get the following server configuration with Accounting Cloud Server. There are virtually no limits on how much power, space, memory and access you may need with our cloud server. Upgrade your Mobile Spy license from Basic Plan to Premium Plan. This will allow you to use the LIVE control panel, view instant GPS maps, initiate Stealth Camera, listen to the phone’s surroundings, and have access to our USA-based phone support seven days per week 9AM to 5PM EST. Powerful Publishing Protection Server integrated with Web Application Firewall to centrally secure mobile and web site applications. The Express edition is suitable to small \ medium businesses. Most of the features are included with the express edition but it is limited to one web application and several security rules. This edition does not include load balancing services or working with several publishing protection servers in-sync. The express version will work on servers with maximum of two CPU cores. 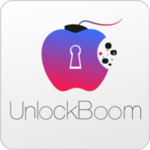 IMEI based iPhone Service tool from UnlockBoom. This service provides permanent iPhone unlock without needing to jailbreak the device, you just need to send us your IMEI code. The IMEI number of your device will be added in the Apple white list / unlocked database. We provide Factory Unlock of all iPhones no matter the bootloader, baseband and firmware version it can be the oldest or newest iOS 7 (or in other words we provide full service and unlock of any device and handset). The iPhone IMEI unlock process will be completed in 2-48 hours (you will be notified if it takes longer). Bulk SMS Caster Standard is efficient bulk SMS software developed to help the user in sending Bulk SMS through PC or Laptop to thousands of mobile phones at one go. The software can send SMSs to a list of numbers or individual numbers. Software provides whole lot of advanced features to make Bulk SMS sending fast and hassle free. User can import contacts from excel spreadsheets which helps in sending SMSs to large number of Mobile numbers at one go. Features like sending personalized messages option and Delayed delivery option are provided. User can connect up to 2 mobile phones through USB or Bluetooth simultaneously and send SMS from both phones at one go. Another important feature of the software is log file. Create your own mailing emails Capture email addresses is the software that allows you to extract email addresses from targeted search engine Google. It is designed to extract thousands of email addresses. The speed and accuracy of our product is just great. Emailing Pro is an email software for emailing your messages and documents . Easy export capabilities You can easily export email addresses. Quick email dispatch The Emailing Pro software allows you to send several emails at the same time by taking advantage of its duplicating mailing function . Extremely personalized email delivery You can personalize 5 fields in a message either in HTML or text format. You can easily see your personalized format in the integrated HTML editor .